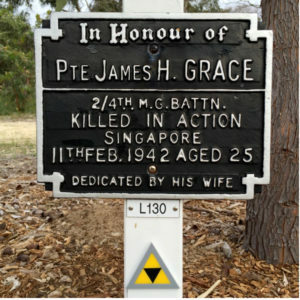 Epitaph, Singapore Memorial, Panel 136, Age 24. Jimmy Grace married Thelma R Dunham about 1939 at East Coolgardie. The family resided at 29 Ardath Street, Kalgoorlie. 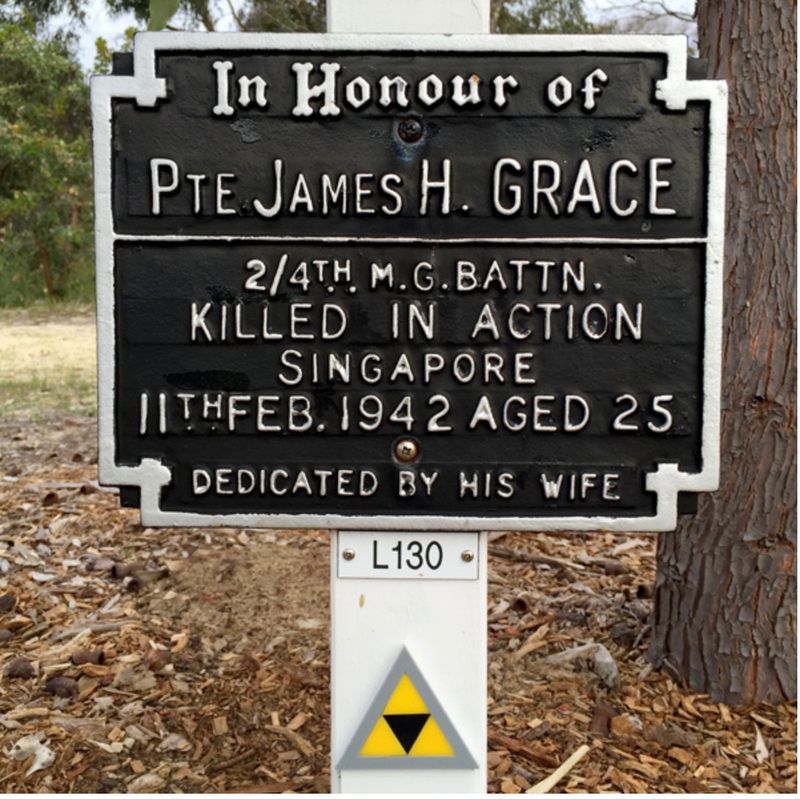 Jim Grace enlisted 13 July 1940 and joined 2/4th Headquarters Company. He trained at Woodside SA and Darwin before boarding ‘Aquitania’ at Sydney to sail to Fremantle, where 2/4th reinforcements joined. Jim was transferred to ‘E’ Company which was made up mostly of reinforcements. ‘E’ Company ran into a Japanese ambush at South West Bukit Timah on 11th February 1942. Tragically Jim was one of the many killed during this ambush. Only 88 men survived of the original 200. Jimmy’s death at the age of 24 left a young widow and his son Jimmy. Kings Park Avenue of Honour.